At Back Home BBQ we take our meat seriously. That’s why we get up early and start from scratch every day. Now you can experience our dedication for yourself with “Back Home to Your Home”! Everything you get will be made fresh just for you, just like in our restaurant. 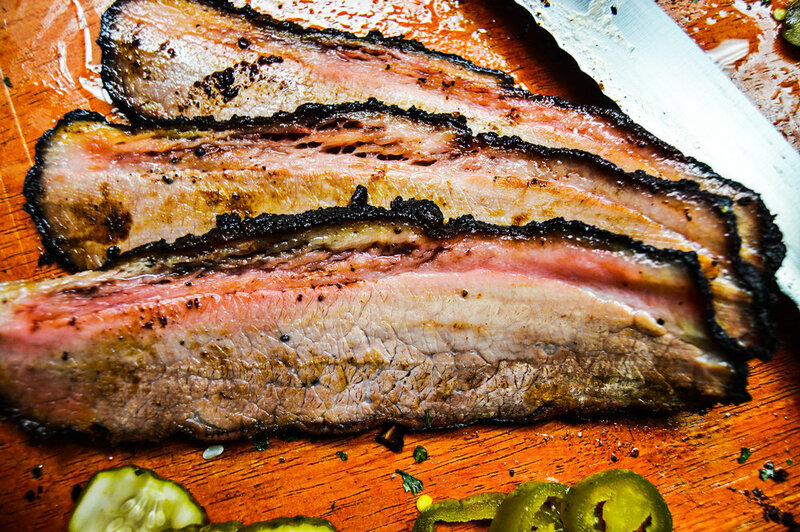 We offer some of the best meat and sides in Texas shipped directly to you. NOTE: We require a two hour notice for all walk-in orders. Once you have made your selection, we make it fresh, chill it quickly for safety and freshness, and ship it to you once it’s ready. All of our products are shipped vacuum sealed to ensure moisture and an impeccable flavor. They are then wrapped in an insulated bubble wrap with ice packs. It is not uncommon for the ice-packs to be semi thawed upon arrival. Place your product in the fridge if plan to consume in the next four days, if not place in the freezer for up to six months. Detailed heating instructions will be included with each order. Lightly dusted with our signature house rub, oak smoked for 12 hours, then gently rested to retain moisture. Oak Smoked in a red pepper marinade for twelve hours. Our number one selling side, comes ready to heat and serve. We soak our beans for 25 hours then toss in bacon, BBQ sauce and onions giving our beans the perfect texture and an enjoyable salty sweetness. Sweet corn, corn flour, and corn masa make up our buttery decadent version of the traditional classic country side. Most BBQ snobs think great meat doesn’t need sauce, we say great sauce deserves great meat with this house made sweet and tangy BBQ sauce. Our universal rub works great for any meats, poultry, potatoes and fish. A sweet and creamy dressing. A great addition to any seasonal salad.